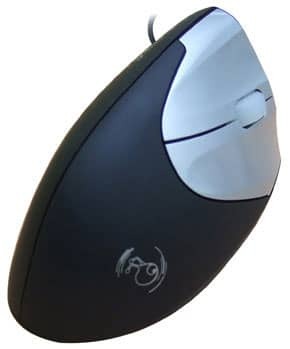 The EZ Vertical mouse turns mousing on its side. Perfect for those who find the 'handshake position' more comfortable than the standard mouse position. Using normal mice requires your forearm to twist into an unnatural position. Using a vertical mouse will help to alleviate and prevent wrist and forearm injury. Available as Left or Right handed Wired or Wireless models.